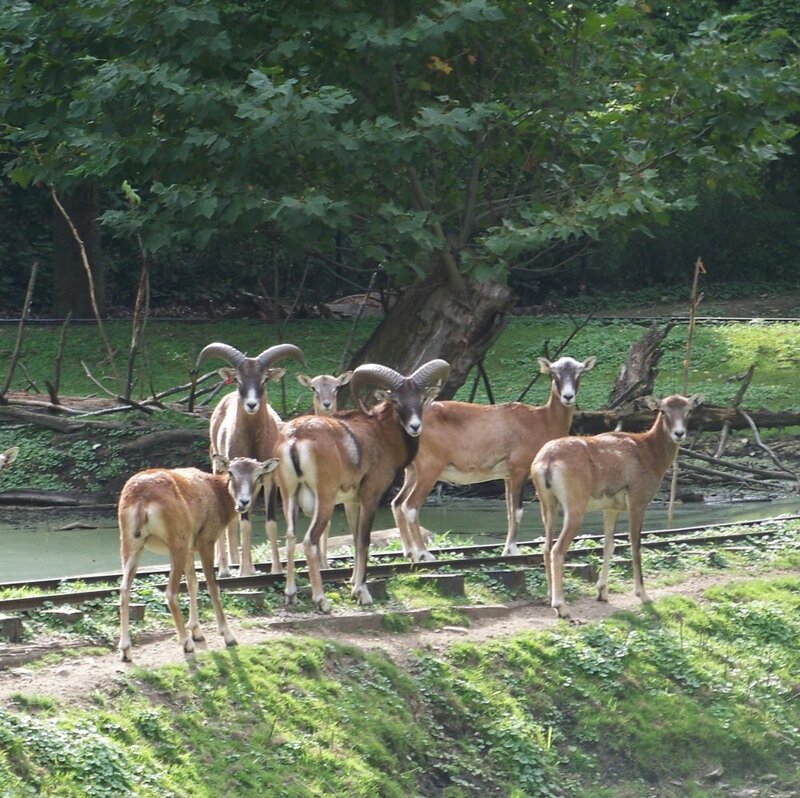 When you a ride a train to Safariland, you will see our herd of Mouflan sheep and our Pere David’s Deer. You will notice the sheep in groups along the hillside- look closely! The deer is seen with the sheep at times and other times she may be enjoying the water. She is an excellent swimmer and enjoys eating duckweed.